Back in 2012, I discovered the Yakuza series through Yakuza 3 on the PlayStation 3. I’ve been in love with the series ever since and have played every game released in the US to date, but Yakuza 6 is the only one I went into with hesitation. In the lead up to its release in Japan back in 2016, I had read that it would be the final installment in the story of Kazuma Kiryu, the series protagonist. I also knew that the story was Kiryu trying to find the father of an infant, Haruto, who is also the son of Haruka, Kiryu’s adoptive daughter. So right there in the basic plot summary is the emotional hook of the story. To get the most out of Yakuza 6, you’d have to have played every previous entry in the series and grown attached to Kiryu and Haruka. And my attachment to the characters was made quite clear when finding out Haruka had had a child made my fatherly instincts kick in and made me want to do exactly what Kiryu did in the story: Slugged the father clean through a glass door. But this being the final game in the Kiryu saga wasn’t my only reason for hesitating to finish the game. After the game released, I began hearing rumblings around the internet that it just wasn’t that great, that the ending was kind of 50/50, etc. The Yakuza series is no stranger to some entries being better than others, but with Yakuza 6 being the end of it all, hearing that the story wasn’t the most perfect thing ever established some doubts in my mind. Did I really want it to end on a bad note? Was I ready to just accept how one of my favorite stories would end? These are the typical thoughts you get when you reach the last book, the last movie, or the last game in a series that you really love, and when I first started Yakuza 6, I couldn’t help, but feel that something was off about it, that something was missing. It didn’t quite feel like the Yakuza that I had come to love over the last 6 years. I was beginning to feel that I would be let down by this final installment, just like others were claiming. Last month I got and beat Yakuza Kiwami 2, the remake of the second game, and it rekindled that fire inside of me that loves the Yakuza series. From beginning to end I was along for the grand ride. After finishing it, I told myself that I would finally push through Yakuza 6 and put it behind me, to just let it be done. But now that I have, I can’t do that. For the first 6 to 8 chapters of the game, it’s more peaceful than past games, small time stuff. You can feel it start to escalate a bit, but it’s missing that Yakuza oomph. The emotions aren’t very heavy, the characters are just knocking each others heads around, it’s different from past games. And that’s what made me think it just wasn’t gonna be that great. I mean it was fine, it was a more personal story, but it just wasn’t the same. But then the final back half of the game starts and suddenly everything ramps up to 11. Emotions are through the roof, drama is everywhere, the criminal underworld comes to the forefront, and the real meat of the story finally shows itself. The first half of the game was really just set up. It introduces you to all the characters, it establishes their relationships to one another(Relationships are a big part of the games theme. ), and it really hammers home the damage that Kiryu’s legacy as the Dragon of Dojima has done to the Yakuza world, and why it was finally time for him to step aside. Yakuza 6 did what I feared it couldn’t: It gave me a fitting and emotional send-off to one of the greatest protagonists in gaming. Every single scene in the games final acts was hitting me like a fist, and one scene towards the very end made me feel like a dragons roar was pouring out of my TV. I was left speechless and teary eyed. This was Yakuza at its best, it just needed the slow setup to make everything hit harder. I’m sorry I ever doubted the writers. Of course, I’ve seen people confused by the ending, and I’m gonna dig into spoilers here, but while the game initially makes it seem as if Kiryu has finally passed on, in reality he faked his death. While it may not make sense at first, after all he was originally promised a large sum of money to keep quiet about the governments biggest secrets and would have been allowed to continue living, meaning he could spend the rest of his days with Haruka and Haruto, he chooses NOT to do that and instead fake his death. This, along with the release of Daigo Dojima from prison, are his only terms for his silence. And the reasoning behind this is because no matter what he does, there will always be people gunning for the Dragon of Dojima, and they’ll do anything to get at him, and that includes going after the ones he loves. The only way to make sure that never happens again, is for the world to think he’s dead, and to forget about him in time. Of course, he doesn’t go into hiding, he’s just wandering around like it’s nobodies business, but apparently nobody recognizes him for whatever reason. And with Haruto’s first steps, and Kiryu’s final steps, the original Yakuza saga comes to an end. In its place, the Shin Yakuza saga will begin featuring new protagonist Ichiban Kasuga. 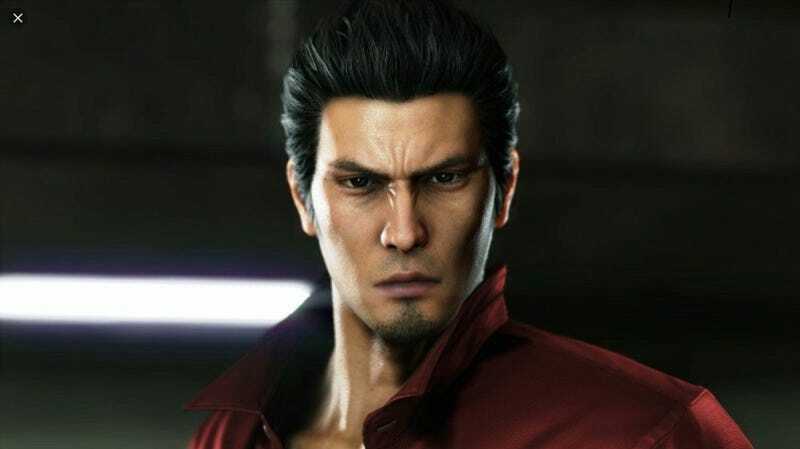 The developers at Ryu Ga Gotoku Studio have already said that Kiryu could potentially return in future installments, just not as the protagonist. For me personally, if the Yakuza series ever does end, it shouldn’t be until around 2036. The reason being that they always set each Yakuza game in the year it release, and I would want the final Yakuza game to feature a grown-up Haruto Sawamura as the main protagonist. A young man who takes after his grandfather in more ways than one, but isn’t a Yakuza, and yet gets swept up in their conflicts, and have a Kiryu in his late-60's with graying hairs appear, but not have his grandson realize who he is. At the end of the day, Yakuza 6 was more than what I thought it was, and maybe someday I’ll play through it again. I’m just sorry I didn’t do it sooner.